Private Health Insurance Reforms - How Will It Affect Me? So you might have heard that private health insurance covers are changing, but what does this mean for you? Two Australians are diagnosed with motor neurone disease each day. While it is a devastating and terminal illness, when supported by a multidisciplinary team of health carers, people are living for longer. Epworth Nephrologist, Professor Ian Fraser welcomed the Hon. Greg Hunt, Minister for Health, to Epworth Richmond on Thursday 20 December 2018 for the Federal government announcement of the drug Tolvaptan (Brand name Jinarc) being put on the PBS. What is the Buruli Ulcer? We don’t yet know the exact cause of the Buruli ulcer, but the Department of Health has recommend simple precautionary measures such as wearing protective clothing when gardening or doing outdoor activities and promptly cleaning any cuts and abrasions. Epworth HealthCare’s Chief Medical Officer Dr Luis Prado said today that My Health Record has significant advantages to benefit many Australians, particularly people with complex and chronic conditions. 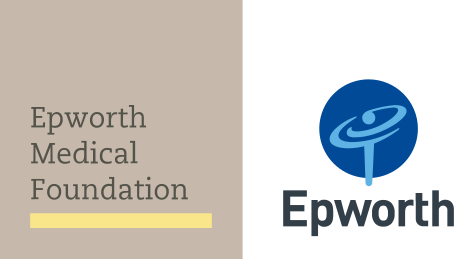 To mark the beginning of Men’s Health Week, the EJ Whitten Foundation and Epworth HealthCare yesterday announced the establishment of the EJ Whitten Foundation Prostate Cancer Research Centre at Epworth - a new centre dedicated to improving treatment for men diagnosed with prostate cancer. Patients at low risk of heart disease are having their heart examined between beats, utilising new cardiac computed tomography (CT) scanning as an alternative to conventional angiogram scans. The CT is used to assess the risk of coronary heart disease in patients presenting with niggling chest pain, where an echocardiogram (ECG) and blood results are normal. Like every Emergency Department in Victoria, Monday night was an unexpectedly busy-to-bursting night with many people attending Epworth Richmond and Epworth Geelong ED and several patients admitted with severe respiratory issues to ICU and respiratory wards. Managing Director of Epworth Richmond Emergency Department Associate Professor Ron Sultana said Epworth Richmond saw more than 120 patients overnight, with about 45 people presenting with respiratory illness. The cells come from an unfertilized egg and were injected at 14 sites in the patient’s brain, with the hope that they would boost levels of the neurotransmitter dopamine. A pioneering technique is providing relief to prostate cancer patients. Urethral stricture disease (USD) occurs in a small but significant number of prostate cancer cases whereby a stricture develops in the urethra, making it difficult to pass urine. This can, in turn, lead to recurrent urinary tract infections, bladder stones, prostatitis and, in severe cases, atonic bladder and renal failure. The medical team who coordinate Epworth's Driver Rehabilitation Program are discovering how a driving simulator can provide a safe and stress free option for re-education. Recovery after a major accident or orthopaedic surgery can be long and challenging. An exciting new piece of equipment is getting patients back on their feet sooner, greatly increasing their mobility and fitness. Managing lifestyle factors like body weight, exercise and diet following a breast cancer diagnosis can have important impact on prognosis and the likelihood of a tumour returning.